As fashion on the runway flows with the changes of the seasons, fragrances are migrating to the role of fashion accessory and away from the role of being a singular, signature scent. Spring welcomes fashion that prepares us for warmer weather and opportunities to enjoy the sights and smells of blooming flowers and citrus fruits. In similar fashion, perfume trends for Spring 2017 are complementing the designs of the Spring 2017 runway collections. Continue reading to discover how fragrance and fashion are uniting fashion forces. Spring 2017 runways were showered with retro beach-inspired designs. Miu Miu featured retro swim caps, while Altuzarra showcased lemon-printed frocks. These bright, beach themed styles mentally prepare us for fruity craft cocktails by the pool and posh picnics in the park. Complementing the runway selections, Ralph Lauren debuted Summer Blossom which features notes of juicy guava and mouth-watering mandarin. Marc Jacobs presented Daisy Dream Kiss Edition which smells of refreshing grapefruit and succulent blackberry. Inspired by the sun itself, Tom Ford released Sole di Positano, a scent bursting of citrus. While some fashion inspired us to relax, other designers encouraged us to get moving in outside sport and tennis-inspired fashions by Max Mara and Lacoste. A perfect complement to these energizing designs? Lively, fresh and clean fragrances. Guerlain released Bergamonte Calabria which features the scent of Italian bergamont. Louis Vuitton blended revitalizing raspberry scents with leather in the fragrance Mille Feux. Tom Ford presented Sole Di Positano which mixed citrus, jasmine and green moss. Reminding us to stop and smell the roses were runway styles enveloped in pink and floral prints. Alexander McQueen showcased frocks that were sheer and embroidered. Also in bloom? Floral scents with a twist of woodsy and earthy notes. Tory Burch debuted Love Relentlessly which pairs romantic rose and patchouli, while Armani presented Si Rose which mixes rose and amber. Another variation featuring the intoxicating scent of roses was Garden Rose by Aerin which featured blends of various roses and geranium. In continuance of the floral theme, Nest Fragrances presented Black Tulip in a floral bottle filled with scents of amber plum, pink pepper, patchouli, and Japanese violet. 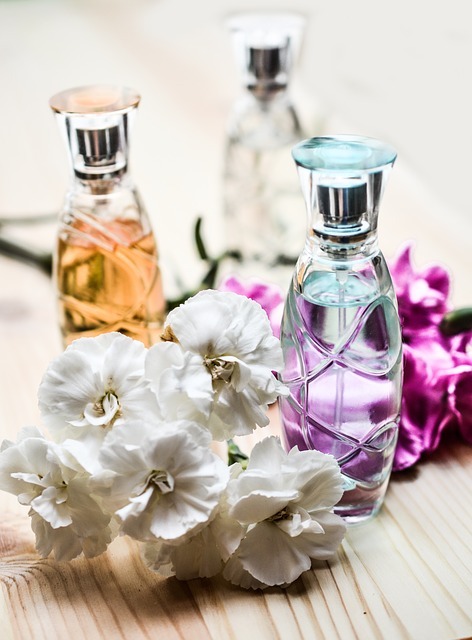 As the connection between fragrance and fashion continues to develop, take a chance and sample some of these Spring inspired scents. Experiment and develop a fragrance wardrobe to complement your Spring fashion. Allow the longer days, warmer weather, blooming flowers and Spring 2017 runway fashions to incite exploration into a variety of fragrances.